How to Best Treat Schizophrenia Disorder? Schizophrenia is a severe mental illness that affects the way sufferers perceive and interact with reality. Luxury schizophrenia facilities blend the latest medical techniques with a relaxing atmosphere to create an environment that is conducive to healing. This guide will describe the benefits of choosing one of these facilities for your schizophrenia care. Schizophrenia is a chronic brain disorder and mental illness that has no singular cause. Significant evidence shows that schizophrenia has a genetic component, and it typically appears in a person’s early 20s. While only 1 percent of the overall population has schizophrenia, 10 percent of those with a close relative with schizophrenia also have the disorder. Schizophrenia is characterized by long periods of seemingly normal behavior punctuated with severe delusions. The schizophrenic may babble incoherently or may use normal speech patterns with intermittent nonsensical phrasing. This disorder is understandably distressing for both sufferers and their loved ones. If you or a loved one is dealing with the harmful effects of schizophrenia, call our toll-free hotline. We are available any time to take your call and provide you with the information you need. Schizophrenia is a lifelong disorder, and the sooner you seek help, the better. Schizophrenia has no cure, but medical intervention can teach you the coping skills you need to understand the disorder better and learn to live with it. Many individuals with treated schizophrenia go on to lead long, healthy and productive lives. Living a healthy life with schizophrenia begins with seeking the care you need from upscale schizophrenia facilities. The biggest benefit of luxury schizophrenia centers is that they are staffed with professionals who truly understand the nuances of the disorder. Schizophrenia is commonly paired with other serious mental disorders, including depression and attention deficit hyperactive disorder. “Living a healthy life with schizophrenia begins with seeking the care you need from upscale schizophrenia facilities.”Significant evidence shows a genetic link between ADHD and schizophrenia, and those with ADHD are significantly more likely to develop symptoms of schizophrenia later in life. Like schizophrenia, ADHD is far more likely to occur in boys. Twelve percent of adolescent boys are diagnosed with ADHD each year as compared to 4.7 percent of adolescent girls. Comorbidity between these serious disorders creates a whole new set of treatment concerns, so it’s no surprise that many people seeking treatment for schizophrenia enroll in high-end treatment facilities for ADHD as well. Upscale schizophrenia facilities understand that you will need long-term care over the course of your life, so it is important to build a relationship with your medical staff. Consistency is generally a source of comfort during a schizophrenic episode, so your inpatient facility can become a second home, making it much easier to seek treatment when you need it. The goal of luxury schizophrenia centers is to provide you with the coping tools you need to live with the disorder at home, making it possible to lead a productive and independent life. Unfortunately, a large amount of stigma surrounds schizophrenia, since many people still do not understand the cause of the disorder. Schizophrenia is not a moral shortcoming, and it does not mean you are crazy or insane. The professionals at your high-end treatment center for ADHD and schizophrenia will be able to help you explain your disorder to friends and family members who may not understand, helping you build better relationships and a stronger support network in your time of need. Unfortunately, many people still hold stereotypes about schizophrenia, but you shouldn’t have to face those stereotypes while seeking treatment for a schizophrenic episode. The less external stress you have to deal with, the more time and energy you can devote to getting better. 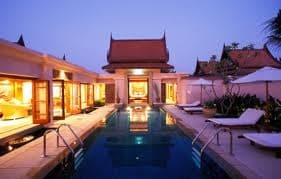 Luxury rehab center for schizophrenia can provide the chance to get away from daily stress and put all your energy towards recovery. The sense of community at upscale schizophrenia facilities is remarkably strong. Being surrounded by caring professionals who understand your disorder as well as other schizophrenics will help you know that you are not alone. Millions of Americans are affected by schizophrenia, and many go undiagnosed for years. 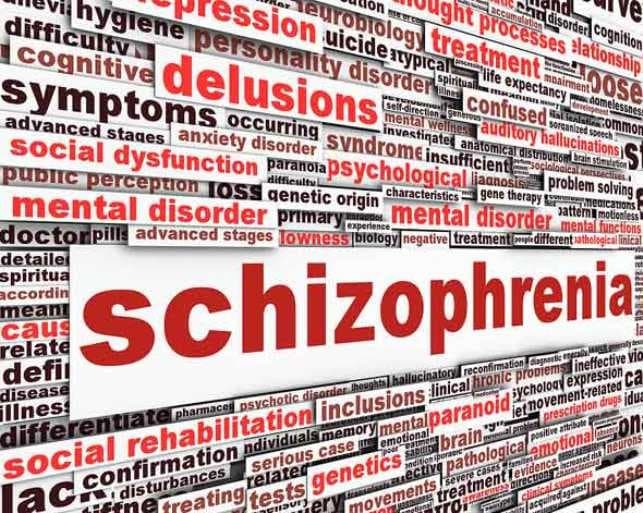 Undiagnosed schizophrenia can lead to other serious problems, such as anxiety and depression. Many people with schizophrenia feel isolated as a result of their illness, and even the most well-intentioned friends and family can be unintentionally hurtful with their comments about the disorder. Schizophrenia may not have a cure, but the right luxury schizophrenia center can help you learn to live with the illness more effectively. Call us any time at for a free consultation on finding a luxury schizophrenia treatment center in your area. We are available 24/7 to help you get started on the journey to a healthy life. What Are the Causes of ADHD & How to Treat It? What Is an Addictive Personality Disorder?